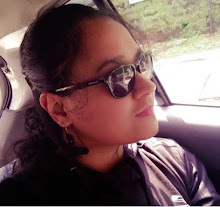 A collective effort to bring forth the pros and cons of traveling. In between the verses we aim to provide honest reviews and suggestions so that communicating with the natives and knowing about the locales is easier and convenient. In between our busy schedule we all travel to places, then we become narrators, chronicling down our experiences and insights, so that the readers might be aided through our words and pictures. 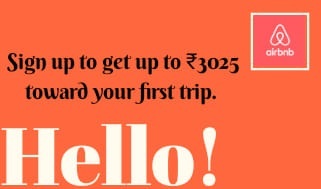 _Which Apps to Use for a Hassle-free Traveling in India? Situated on the banks of River Hooghly, Kolkata is literally the “City of Joy”; with its noisy and chaotic, yet vibrant and colourful streets incubating waves of joy to the soul. The city bears the imprint of an age-long historical period, the trails of the revolutionary pre-independence era in its very roots. Central Kolkata is a perfect example where the old merged with the new. It houses few of the eclectic architectural masterpieces as fossils, of not only the colonial era but the preceding epoch as well, which adds to the grandeur and the flamboyance of the city itself. With these antique treasures of Dalhousie Square, Esplanade and Park Street, Kolkata is a great choice for city hikers to have a pleasant walk through the city's past.. These are impeccable samples of the Indo- Saracenic Revival architecture or the Indo-Gothic architecture with a touch of British, Mughal and Egyptian influences. Besides British, there were Dutch, Portuguese, Jewish and Armenian as well. This blog would deliver 28 such places (in descending order i.e. least known to most known) that are must visits and can be hiked in a day or two. Kolkata is a city to be loved, to be cherished; be it through a lazy stroll along the riverside avenues, or a ferry ride over the Ganges, or being daunted by the splendour of a heritage building, or in a comfy reading in the carrel of a mezzanine floor with a cup of coffee, or seated by the window of a ramshackle tram. Antiquity is in the very essence of the city if you choose to feel it. Although neglected, this synagogue also offers architectural delight to the eyes; it has a prayer hall and seating arrangements for the congregation. The worst part of this particular jewel is that it is getting neglected. This is one of the oldest remnant which stood in the city from its nascent stage and yet, you would literally fight the pedestrians today, to find its entrance. Hidden in the plain sights this yellow structure bears an antique imprint with the Jewish Star of David and the Star of Menorah. The interior holds a mesmerising view with the blue and white columns; the peaceful ambience is enhanced by the antique chandelier. In the mid-section, a raised platform is provided for the Rabbi to pray and preach. Hebrew inscriptions from the Torah and the Ten Commandments were written on the dome. The upper floor is a dedicated museum depicting the Jewish history in Kolkata. The synagogue is built in the Italian Renaissance style with a brick red finish. The entrance to the synagogue compound is hidden behind makeshift stalls selling hairclips and other trinkets. The Magen David Synagogue is approached through an arched door, containing the hexagonal “Star of David” and Hebrew inscription. The two side walls contains memorial plaques dedicated to the well-known Jews of Calcutta (Kolkata). The chequered marble floor, gleaming chandeliers, stained glass windows and ornate floral pillars shipped from Paris enhance its Continental look. The altar of the Magen David Synagogue is crowned with an Apse (Half Dome) studded with stars. It represents the heaven. The large plaque in the middle contain the “Ten Commandments.” High above the wall opposite the altar is a beautiful circular stained glass. A quintessence of Armenian architecture, the church's interior is decorated with marble. A staircase leads to a galleries section where the walls are adorned with inset frescoes and paintings. The altar in the church is adorned with a cross, the Gospel text and twelve candlesticks symbolising Jesus Christ's Twelve Apostles. The altar is also decorated with three paintings by English artist AE Harris, "Holy Trinity", "Last Supper" and "The Enshrouding of Our Lord". An arched portico structure welcomes you into the cathedral interior which has beautiful sculptures including 14 Stations of the Cross. Behind the altar, there are the figures of Madonna and Child. The exterior entrance has a pediment featuring the birth of Jesus, symmetrically placed between the two domed towers. St. Andrew's Kirk or Church ia a standing representative of Scottish Architecture in the city built in 1815. The main edifice is built in Grecian style with a Christian steeple. Both the North and South Porches are supported by Doric columns and are floored with white marble. A "Euharmonic Organ" in the church represents the earliest form of Scotland's instrumental music. It is a perfect example of Italianate architecture and serves as the end point of letters without the name of the sender or the addressee. The columns are well portioned and the colouring makes it all the more attractive to the eyes- the red in the white provide an overall decorative look to it. Another red-yellow building built in Edwardian design with pointing Georgian sloping roof and arched doors and windows. It has a courtyard within its premises. Situated beside the GPO this is another marvel of art- the same red with a tinge of golden hues here and there in the form of sculptures- above the windows or the parapet. It is as if to mark out the sophisticated art pieces to the eyes. The tomb structure is white supported on walls bearing golden figures of angels. This building offers miniature sculptures in the external façade which simply adds to the beauty of the same. It is indeed a true delight to the appraisers of delicate artworks- sculptures of cherubs within the arch over the windows or angelic sculptures in the pediment, all exemplifies the artistry in the architecture. This is again a red bricked structure, with arched green windows. The structure is supported on the then customary Corinthian pillars. The roof is however railed with a pair of phoenixes in frequent intervals. The decorative figurative tablets on the walls makes it more graceful to the eyes of the onlookers. Esplanade Mansion: These Victorian architectures were built by a Jewish and an Armenian builder respectively (the latter two). The specialty of the mansions lie in the domed clock towers at the ends and the overall symmetry in the cornering façade. Designed on the footprint of 13th century Cloth Hall at Ypres in Belgium, the Kolkata High Court is the oldest High Court in India. A depiction of Neo-Gothic architecture, the building stands high in red and yellow with its pointed Georgian roof structure. This lush green picturesque premises of Belvedere Estate houses Belvedere house which is now the National Library of India which dated back to the mid-18th century. The house and the now library is situated amidst the periphery edged with subtropical trees. The structure stands unaltered with its doors and windows painted green matching the foliage of the surrounding. As for the inside, it is as the inside of a library should be, full of stacks of books. Some of the rooms are having fireplaces. The main reading room supposedly give the idea of a hall which it was indeed in the past, holds a ceiling held by Corinthian pillars. A large dining table and a grandfather clock are other antiques linking to the Colonial past. The architectural style is a mixture of oriental and occidental influence and decorated with 18 Gothic columns on each of its East and West face. The Town Hall is mostly used for public gatherings and functions. It is designed in a mix of Roman and Doric style matching that of the Roman Senate, with the portico supported on iconic pillars. The present day official residence of the Governor is Raj Bhavan. The Raj Bhavan follows a neoclassical style with distinct tinges of Baroque architecture. Out of the six gates, the gates on the East & West have a grand arch ways topped with a lion and the side gates are topped with Sphinx. However the best view is obtained from the North and South Gate. The multifaceted complex area is surrounded by a balustraded wall; walking through the garden and passing the Chinese cannon leads to the stairs to the portico topped with a triangular pediment supported by six ionic pillars. The South gate also provides a majestic view, with the tree-lined drive leading on to another portico over a colonnaded veranda and the ionic pillars supporting the huge metallic dome. A Greco-Roman structure with statuettes on the roof parapets; it is presently the Secretariat of West Bengal under renovation. Even in the colonial era it was one of the chief administrative building known. This Italian styled grandeur comprises of three floors with sixty galleries divided into six main sections of Anthropology, Art, Archaeology, Zoology, Botany and Geology. The premises has a grassy courtyard inside. Besides the Egyptian Mummy and Buddhism antiques it has fossil skeletons of prehistoric animals, an art collection, rare antiques, and a collection of meteorites. The Museum was initiated by a Danish Botanist, Nathaniel Wallich in 1814. Built in neo-classical style, the structure is mostly built with stones, then transported from Gaur. A portico shows the way to the choir section which is surrounded by a number of iconic columns with stuccoed edges. On its walls hangs the large painting of ‘The Last Supper’ which John Zoffany presented to church. The Church premises also houses the memorials of Job Charnock and Lady Anne. 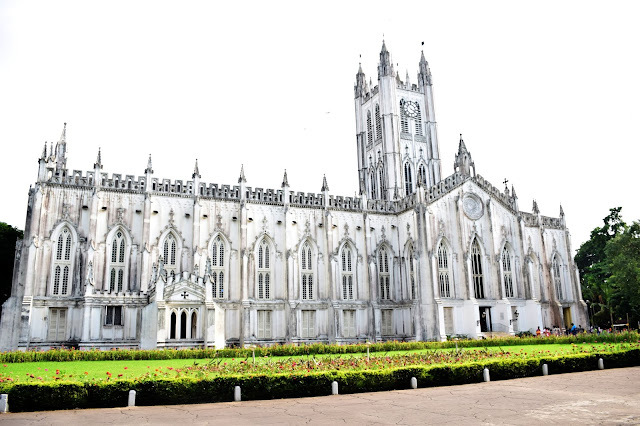 It is said to be the largest cathedral in Kolkata and the first Episcopal Church in Asia. It was also the first cathedral built in the overseas territory of the British Empire. Built in Gothic Revival style it features pointy arches and towering architecture. The main hall with the murals and frescos and stained glass windows is serenity redefined. Life and work of St. Paul is vividly depicted in pictures. With all sorts of these intricate architectural details, St. Paul’s is considered the city’s most beautiful cathedrals. Another testimony to the British neo-classical architecture with a white dome which holds a huge clock and is supported by Corinthian pillars standing on an octagonal base. The inside has a central statue of a former postman or postal runner as it was called then. A philately bureau is there, which is a delight to a stamp collector. Postcards are still available here, which indeed are souvenirs these days. Kolkata is known by this destination in the first place. As the name suggests the edifice is a memorial to the then Queen of Britain. It stands in the centre of a lush green garden. The structure is built of Makrana Marble like that of the Taj Mahal. Atop the central dome of the Victoria Memorial is the Angel of Victory. Surrounding the main building there are many figurative sculptures notably Motherhood, Prudence and Learning; other effigies include the then political supremacies and statesmen. Through the garden, the Esch’s Bridge with a bronze throned Queen figurine welcomes you and paves the way to the domed main building; the central hall (with the dome) of which bears a Venetian gothic imprint. There are a number of galleries showcasing the then histories. The south facing appearance of the edifice provide a Roman Pantheon type aspect. WOW you have covered almost all the architectural beauties of Kolkatta I guess, this is a great read for those who wish to know more about this amazing city before arriving here! Marble Palace is included in a different post solely dedicated to North Kolkata. And Belur deserves a special place in my heart, so my latest post is on it. Do check and share your reviews. Some memorial Central Avenue Buildings are covered in this post itself. But thanks for the idea. It can be taken up for my next day trip. Which Apps to Use for a Hassle-free Traveling in India? Copyright 2018-19, © DoiBedouin || All rights Reserved.